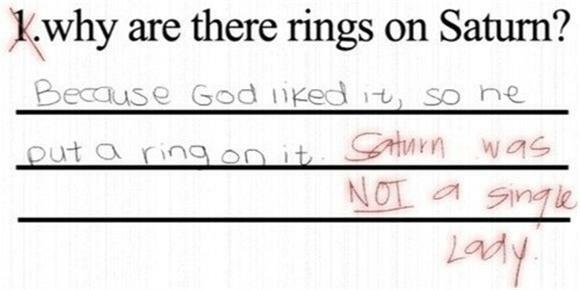 Kids take the darnedest tests. Reminds me of when I tried to bake a limp biscuit in home economics. Related: did you know that "Say My Name" is actually about Uranus?